The Grand Canyon is known worldwide for its spectacular landscapes. 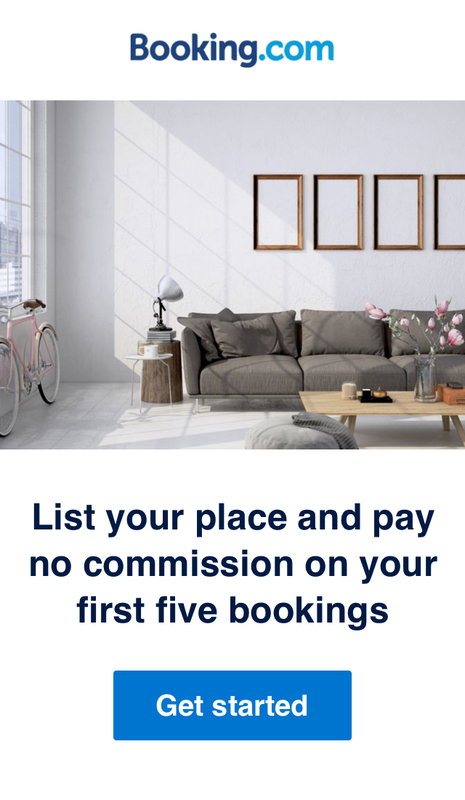 But here’s something we hope will surprise you. 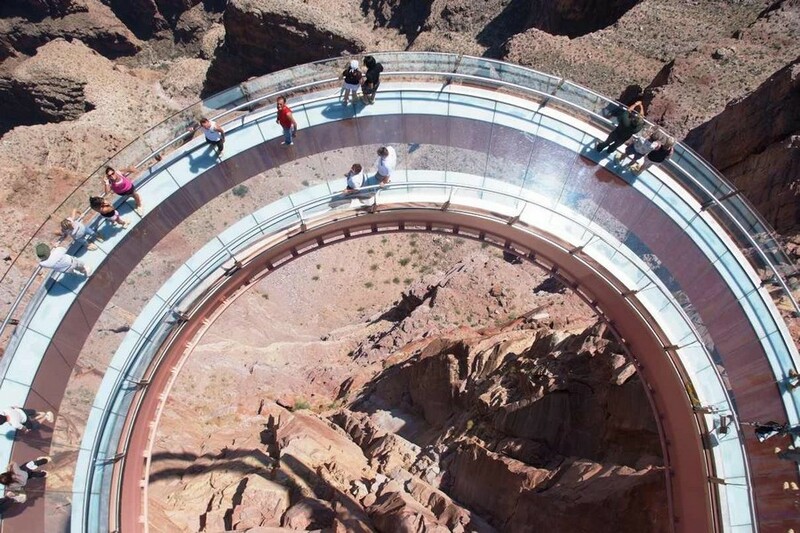 Situated 4,000 feet (1,219 meters) above the Colorado River, the Grand Canyon Skywalk is an ingenious structure, completed in 2007. 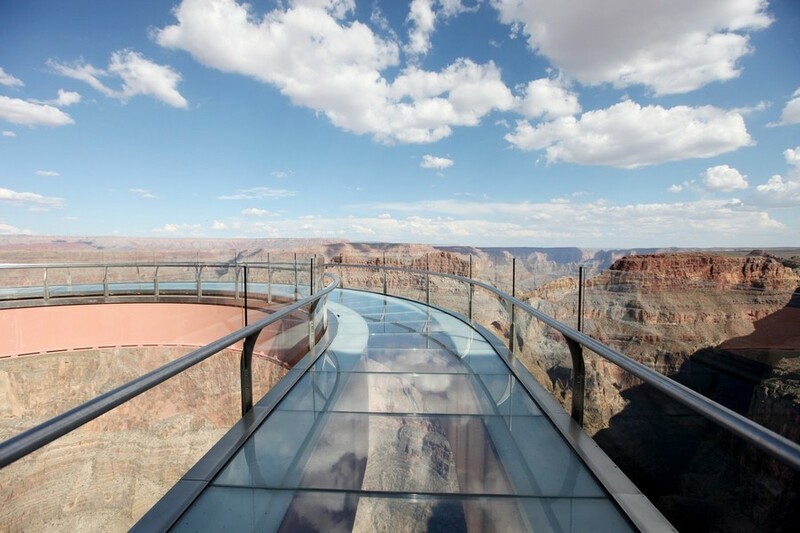 The concept is simple: you walk on a transparent pathway above the canyon and you feel like literally stepping on the skies. Intrigued? 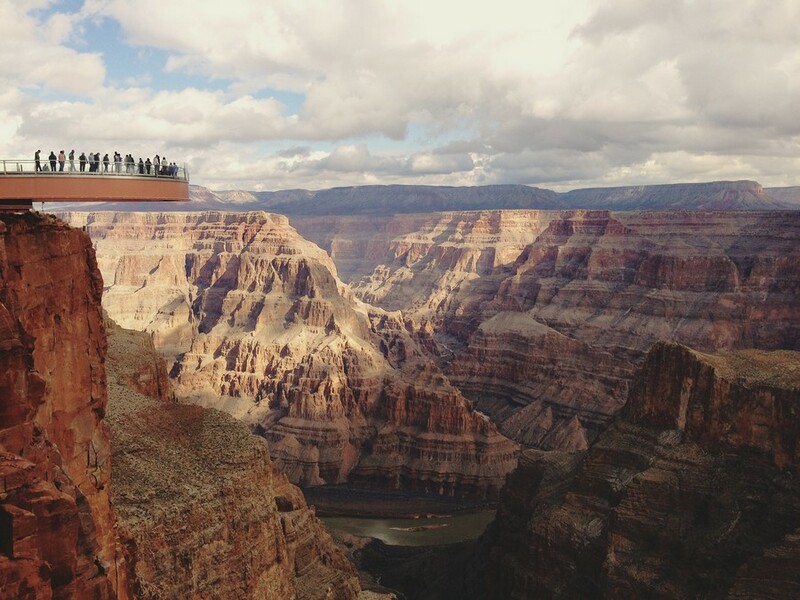 Here is more information from the official site: “David Jin, a Las Vegas based tour operator and entrepreneur who has been involved with the Hualapai Nation for some time, had the idea of extending a platform out over the edge of the Grand Canyon and formally presented the idea for the Skywalk to the Tribe in 1996 and funded the construction of the project. 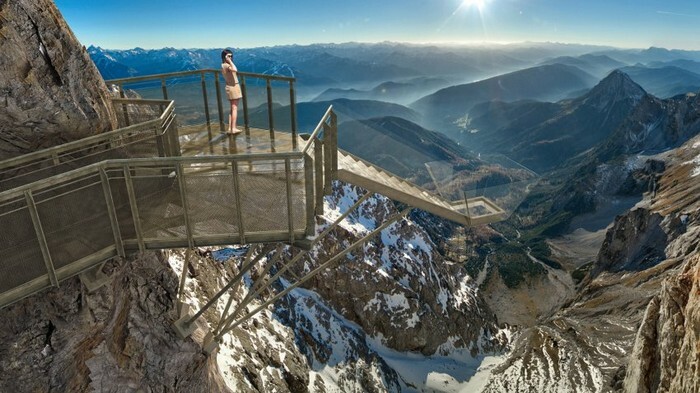 The original concept for the Skywalk design was a rectangular platform extending straight out over the rim of the canyon. That idea evolved into a “U” shaped walkway that has now been constructed”. 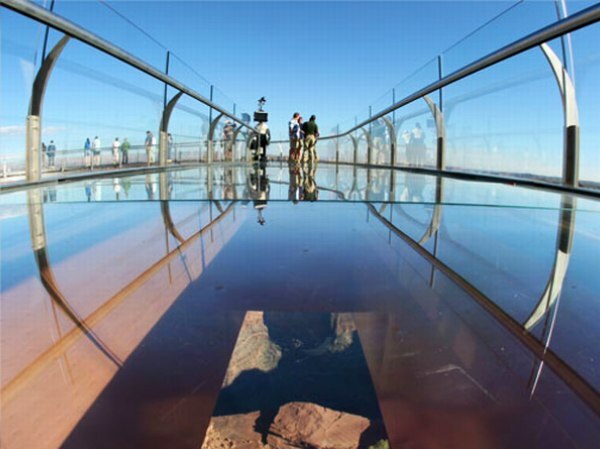 The Grand Canyon Skywalk is a unique glass-bottomed cantilever bridge that spans 70 feet (21.34 meters) over the Grand Canyon’s rim and sits 4,000 feet (1219 meters) above the Colorado River. 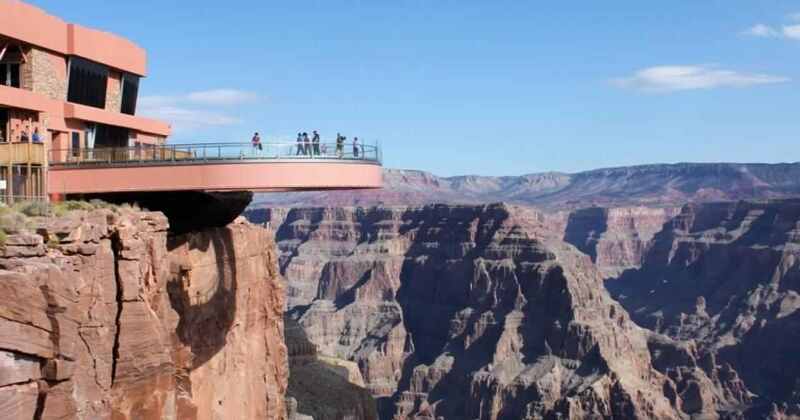 Completed in March of 2007, the Skywalk at Grand Canyon West has quickly become one of the best day trip destinations from Las Vegas, NV and Kingman, AZ and has become the most recognizable cantilever structure in the world. 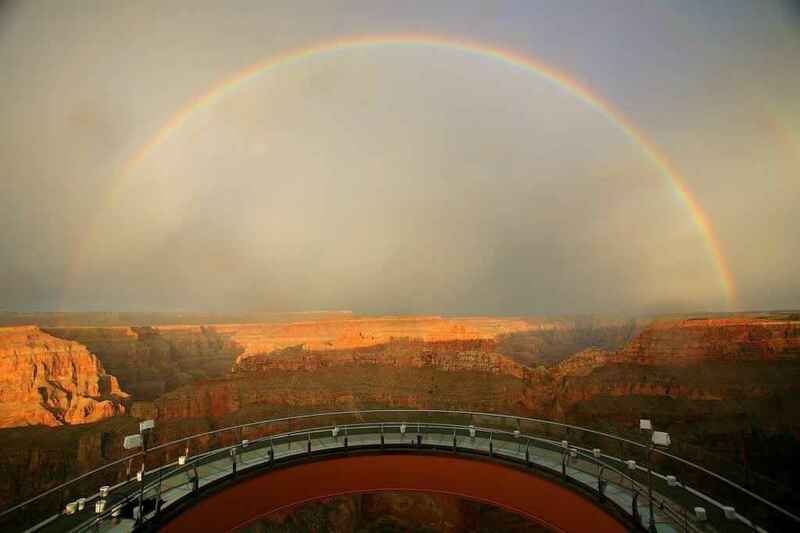 Open 365 days a year, the Skywalk has been visited by nearly 1 million people from 6 continents and over 50 countries from around the world (dates from 2010), giving all of them the absolute best view of the Grand Canyon unmatched anywhere else. Getting there : Grand Canyon National Park is a United States National Park and a UNESCO World Heritage Site that is located entirely in northern Arizona and is one of the great tourist attractions in the United States. There are two ways to approach the Canyon: the remote North Rim and the more accessible (and therefore more crowded) South Rim. 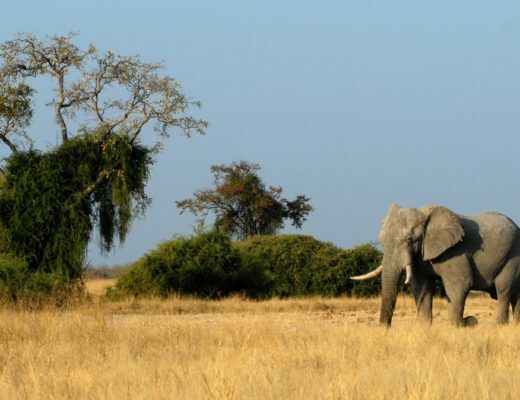 Both areas have several options for camping, as well as hotels and restaurants.-you will find more information on Wikitravel. 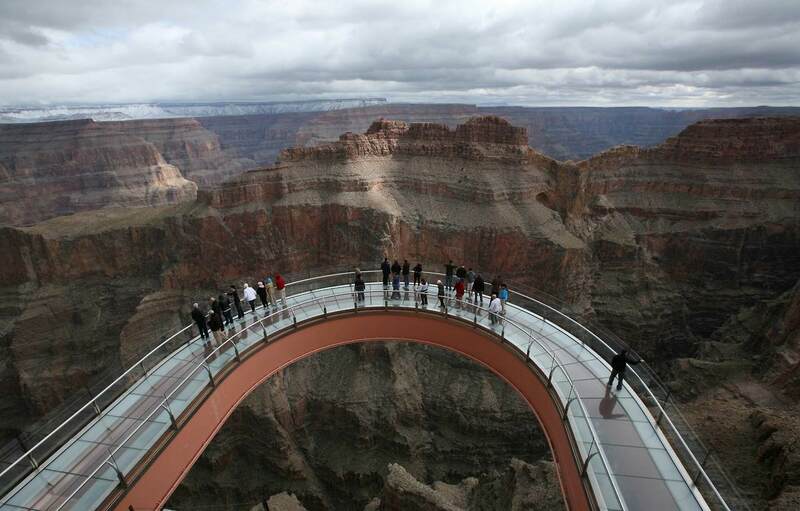 Costs: The price for a sky walk tour of the Grand Canyon is $29.95 for adults and $22.46 for children aged 3 to 11. 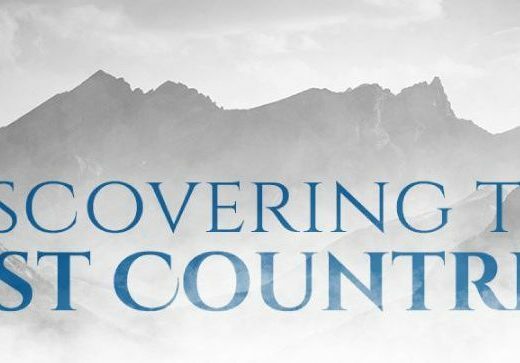 Considering it is a once in a life time experience, we say it’s worth it. 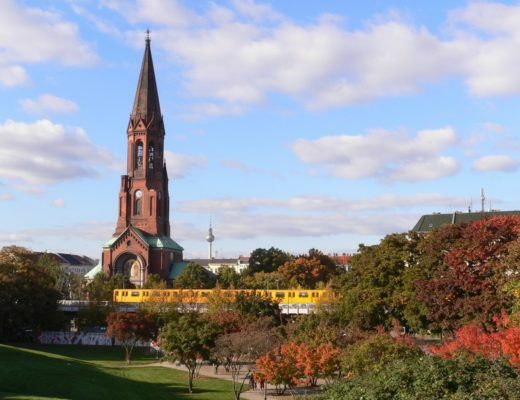 We consider this “landmark” to be original and spectacular and salute those who share their wisdom and ideas to create unforgettable experiences. Have you been here? Is it as intense as it looks?